Every year, once Halloween is over and done, the Christmas decorations go up immediately. Come November 1st, it’s bye-bye to black and orange and hello to red and green. It’s how it’s always been for us and it’s a process we look forward to every year around this time. It’s so much fun to go exploring through the basement and pull out boxes and bags filled with Christmas goodies that we haven’t seen in a year, hoping that what we labeled each box is really what’s inside it, and hoping the mounds of strands of lights still work (and praying we can untangle them!). Christmas is our absolute favorite time of the year, and we like to enjoy this season for as long as possible. A lot of people put their tree and other decorations up on Dec 1st, but that’s just not enough time for us! Haha. We get lost in the magic of Christmas music and the smells (balsam everything, please) and the baking and the movies and the lights and the old ornaments that PJ’s mamaw made and the old ornaments that PJ made when he was little and okay we’re ranting, but we can’t help it. We’re suckers for all things Christmas, so it only makes sense we want everything up as soon as possible. We waited a bit this year, though, since we’ve been so busy the last few weeks. 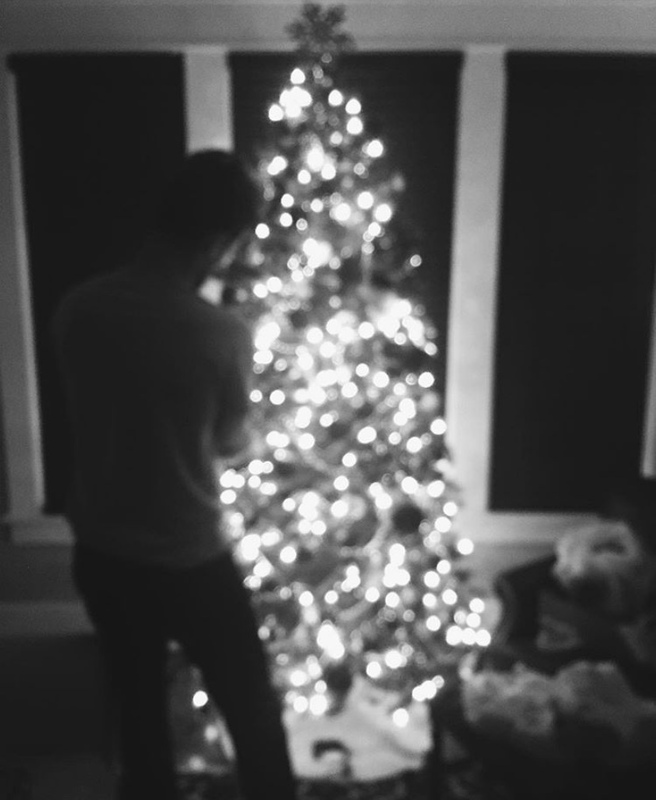 We just put our tree and garland up a few days ago, and we’re not happy about being behind, but, sometimes life just happens and that’s okay. We used to get real trees (growing up PJ and Thomas both always had real trees) but the last two years we haven’t wanted to mess with them, and sadly have just kept our fake tree. Maybe this year we’ll do two trees and go get a real one? Even though we waited to put up our Christmas decorations, some of you still couldn’t believe how early we were putting them up! It made us laugh, because we know we like to put them up a lot earlier than other people, so we totally get all the question marks and confused emojis. Some of you agreed that you like them up way before Christmas, too, and we felt a deep spiritual connection to you. Our fellow Christmas BFFs. So when do you start putting up your Christmas decorations? Are you early birds like we are or do you wait until December comes? Would love to know how you do Christmas at your place!